Would You Wear… Mary Jane Pumps? These schoolgirl-chic heels are making a comeback. Watch out, schoolgirls – we’re coming for your look. Spotted on runways and street style stars alike, the classic Mary Jane is ready to become cooler and edgier than ever this spring. With a variety of patent leather, metallic, suede, velvet, and embellishment options to choose from, you’ll have no trouble finding just the right style for your taste. 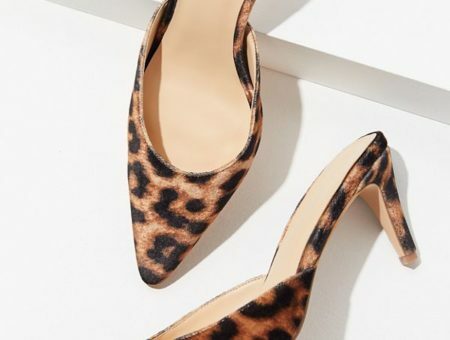 Think about how awesome a chunky-heeled Mary Jane would look with boyfriend jeans and a crop top, or a Mary Jane stiletto dressed up for a night out on the town with a dress and faux fur jacket. Yup, count us in. Would you wear Mary Jane pumps? Does this style suit your taste or will you skip this trend? Comment below and let us know how you’d wear them! Tags : Heels, Mary-Janes, Shoe Trends, Shoes, Spring 2016, Would You Wear?